Base class of all 2D textures. 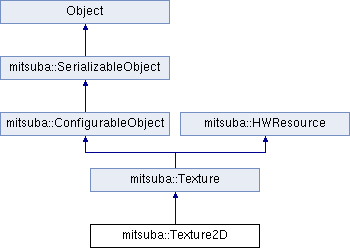 Unfiltered texture lookup – Texture2D subclasses must provide this function. Filtered texture lookup – Texture2D subclasses must provide this function. This function is usually implemented pointwise without any kind of filtering. Unfiltered radient lookup lookup – Texture2D subclasses can optionally provide this function.